The easiest way to implement the latest best practices in your project. 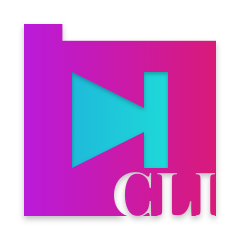 Starter Project CLI, or SPRO (pronounces es-pro), is a command line interface that could save you a vast amount of time that you usually spend on configuring your project. SPRO's mission is to set up a perfect development environment by learning about your project architecture and then setting up Gulp tasks for all your needs. The tasks include compiling, lintering, formatting, compressing, and transforming your source file to produce the most optimized production files. Info: If you would like to add a Gulp task, feel free to open a pull request, or request a feature by creating a new issue. Custom WordPress Theme Development with SPRO. You could use SPRO as a global or local package. SPRO would prompt you to ask a few questions about the project structure. prepare a command for installation of dependencies required for the project. Warning: Note that the installation process could last a few minutes. In the gulpfile.js folder you could find all Gulp task files and configuration files. clean the task for deleting compiled code. 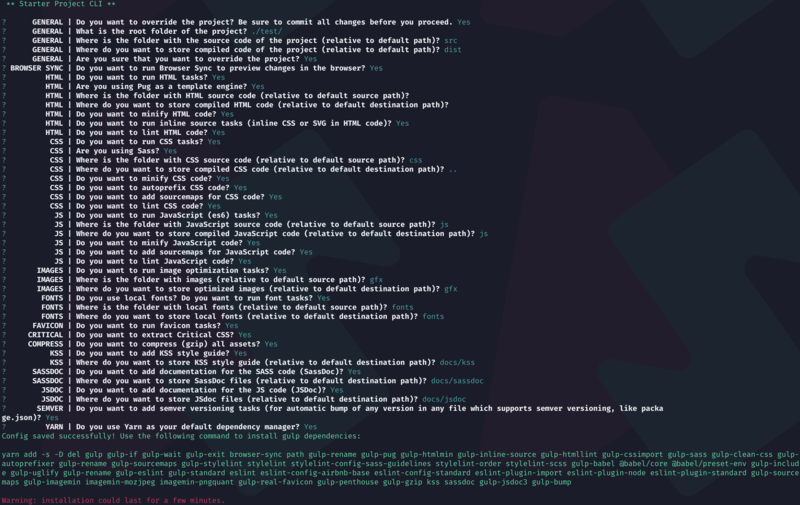 Pro tip: Run gulp --tasks to see all available Gulp tasks. If you want more control over your Gulp tasks, you could find the configuration files for every single Gulp task in the gulpfile.js folder. .starter-project.json is the main configuration file in which you could find all your answers from the command line. Avoid editing this file manually, unless you know what you are doing. Run spro start command again instead. See more about individual configuring tasks in the Task Configuration section. SPRO provides path placeholders for easier configuration. All path placeholders would be replaced with settings from the main config file, .starter-project.json file. Use path placeholders to avoid hardcoding paths in the project. Also, you could run spro --version to check the version of the package. You could see all available options on BrowserSync the npm page. To make the favicon task work, you should visit the RealFaviconGenerator and run the wizard. At the end of the process, you should copy the setting and put them in the .favicon-data.json file under gulpfile.js directory. If you need more help understanding the configuration, please open a new issue. You could see all available options on gulp-gzip the npm page. "dateFormat": "MMMM Do YYYY, h:mm:ss a"
This setting will tell Gulp when to terminate the build (watch) process. Contribute: create a new issue or create a pull request.